“It takes a village to raise a girl” is a popular Yoruba proverb. The proverb speaks well into Nyaradzayi’s Gumbonzvanda’s narrative after the community rallied behind her in support of her education. From her humble beginnings at Magaya Village in Murehwa, where her widowed mother struggled to raise her fees, Nyaradzayi has carved her name among the world’s luminaries for her concerted effort in alleviating the plight of the girlchild. She is the secretary general of the World’s Young Christian Association, a global organisation that is represented in 108 countries and reaches out to more than 25 million young women. She is determined to do more. For someone who holds such a powerful and influential position, she has remained humble and unassuming. “I am what I am today not because of my individual efforts, but through the support of different people and organisations spread around the globe,” said the soft spoken human rights lawyer from her Geneva base. From being an ordinary village girl, who grew up in an impoverished family, Nyaradzayi has become a beacon of hope for thousands of underprivileged girls, who now look up to her for encouragement after being inspired by her rags to riches story. Her name is now sought after in many international organisations, where her trailblazing leadership and management skills are unparalleled. Prior to her joining the YWCA, she worked for 10 years as a human rights officer with UNICEF, where she served as a regional director for the United Nations Development Fund for Women, now UN Women. Her current position has taken her all over the world, presenting papers among legions of world leaders and inspiring millions of young women to aim high and yet she remains humble. Nyaradzayi said her humility stems from her upbringing, which was riddled with social and economic problems that at one time forced her to drop out of school for two years, as the family struggled to raise her fees. At one time she had to sell groundnuts and assist her mother to raise her school fees and feed the big family which consisted of her siblings and several cousins. But amidst all that poverty was a lot of motivation within the family, which ensured that she proceeded to secondary school, while her siblings only scraped through primary school owing to lack of resources. “When my father died when I was in Grade Three, I had to drop out of school for two years because there was no money to take all of us to school. Although my mother was hard working, the burden was simply too much for her,” she recalled. Despite the glitch where she lost two years of her schooling, Nyaradzayi was not deterred. Realising how determined she was to proceed with her schooling, her siblings resolved to pool their resources together and send her back to school. That decision by her siblings marked a turning point in her life. She resolved to work hard and change the fortunes of her family. Coming from a family hit by crises: a brother who had disappeared during the war, a sister who entered into an early marriage due to poverty and yet another sibling who was battling with a life threatening disease, Nyaradzayi knew she had a tall order ahead of her. Without the help of her father, and solely relying on her already burdened mother, she knew she had to input more towards her own educational needs. “My brother who had disappeared during the war and had been hibernating in Wenela returned home and immediately took me with him to Mashava so that I could resume my studies,” Nyaradzai said. Mindful of her background and the hassles the family had gone through in reinstating her into school, her accomplishments in both primary and secondary school were consummate. Nyaradzayi came out with flying colours at A-Level, where she was among the best students at Gokomere High School, enabling her to enrol for a degree in law at the University of Zimbabwe. She joined the law class with other high fliers in the likes of Terrence Hussein, Luta Shaba, Douglas Mwonzora and Rudo Kwaramba. While she would have wanted to major in sciences, Nyaradzayi said her enrolment in the law school was in fulfilment of her father’s wish, who had always wanted her to be a lawyer. “I had always been my father’s ‘lawyer’. During his heydays, he was often involved in brawls after taking one too many. Whenever he came back home after these fights he would often tell me how he wished I was a lawyer so that I could intervene and resolve his disputes,” she enthused. Despite her academic achievements, she retained her strong rural influence, which is clearly distinct in her dressing, her cautious approach in adopting to new trends and general scepticism about the glitz and glamour of city life. “My first time in the capital city (Harare) was when I was boarding a kombi to the University of Zimbabwe to enrol for my degree. Prior to that I had only been to Highfield and was not familiar with the city,” she revealed. However, her naivety did make her lose her focus to achieve the best so that she could assist her siblings back in the village. 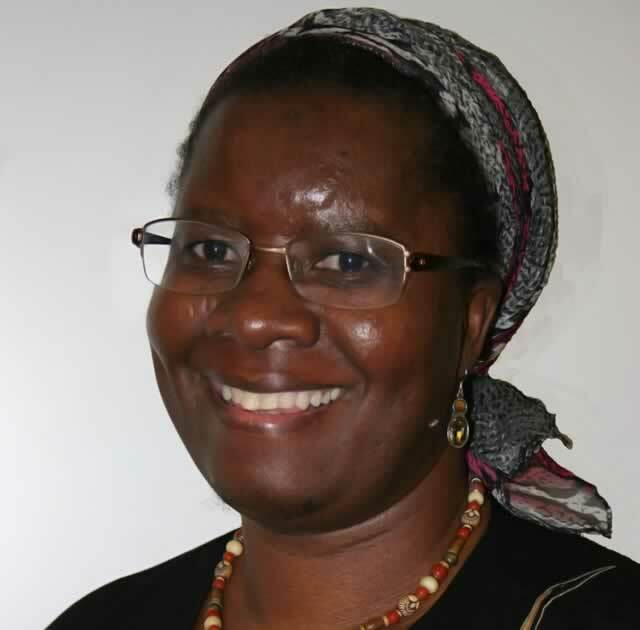 Soon after finishing school, she coordinated and was instrumental in the formation of the Zimbabwe Women’s Lawyers Association with the likes of High Court judge Elizabeth Gwaunza. Her first job was with the Ministry of Justice, where she worked at different courts before she joined the private sector. “I enjoyed criminal law. I would also get worked up when people got lenient sentences for gender based violence cases, because I had always felt that women were on the receiving end from abusive partners and needed the protection of the law,” she recalled. It was probably both her experience in dealing with gender based violence cases at the courts and her interface with early child marriage of her sister that motivated her to focus strongly on human rights issues concerning women. Although she has straddled the breadth and length of the globe, Nyaradzayi remains humble, unassuming and has a strong attachment to her Zimbabwean background. It is probably for that reason that she has kept her dressing cultural, basic but very defining. Whether she is meeting UN secretary general, Ban Ki Moon, dining with the European delegates or sharing a cup of coffee among African sisters, you will not miss her in an African attire – nicely complemented with a headscarf. She sees her dressing as a form of identity, which is also in sync with her solidarity message with the rural women who for long have been stigmatised as backward and unsophisticated. “I feel very calm and confident when I am wearing my African garb. It’s a form of identity that I have had for years. I feel that an identity is more than a name, and this is who I am. She might be living far away from Zimbabwe, but she remains attached to the country because of her immediate family, her undying passion for the plight of the girl child and the Rozaria Memorial Trust, an organization that supports innovative initiatives in health, education and entrepreneurship. Named after Nyaradzayi’s late mother, the trust is currently paying school fees for more than 100 children across several districts in Zimbabwe and is currently working with schools and clinics in improving health and education in the country. She also has a transport business in Harare, run by her husband, who shuttles between Harare and Geneva to ensure that everything is running smoothly.